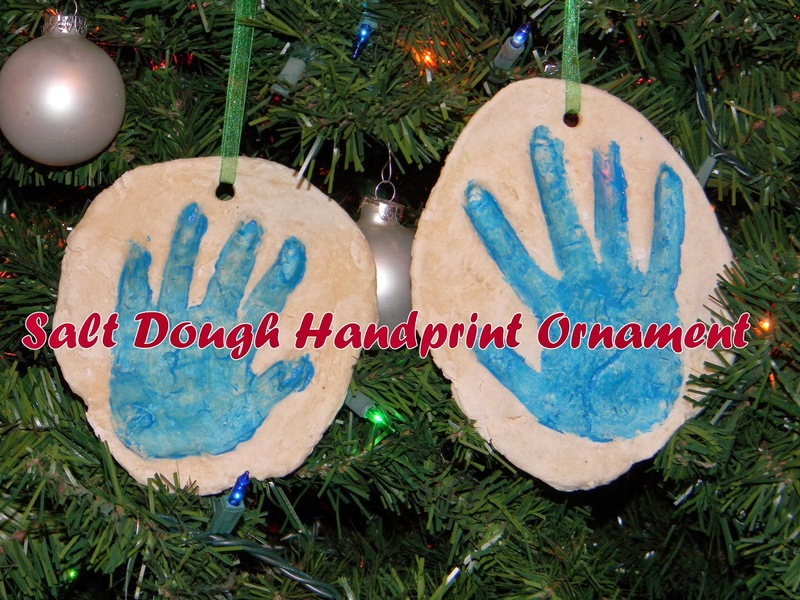 The other day I came across this salt dough ornament on Pinterest. I decided to do it with the kids this past weekend. All you need is 4 cups flour, 1 cup salt, and water. Mix the flour and salt and then slowly pour in water until it forms a dough. Flatten it out on a cookie sheet so it's large enough for your child's hand to fit. Press their hand into the dough and slowly lift it out. I used a straw to make a hole at the top so we can hang it. After you do that, bake it at 150 degrees for 1 hour (my oven only goes down to 170 degrees so I used that). Remove from oven and let cool completely. You can then leave it how it is and hang it from the tree with a pretty ribbon, or you can paint it. I painted them so the handprints would show a little better. On the back I also painted 2014 so we'll always remember when we made then. These are something you could do every year or you could even do footprints. I'm sure grandparents would love them too.